Summary: There are several uses for a portable air conditioner that makes it a worthwhile investment. Spot cooling a server room, new room additions, your RV, and a vacation are a few examples of such uses. The portable air conditioner is a versatile device. Here are some potential uses for portable air conditioners that make them extremely good long-term investments. Often, house and apartments will use non-standard dimensions for their windows. Anything other than the standard window measurement will rule out the use of a window air conditioner. A portable air conditioner will work in any room with windows of any size. Server rooms and data center require cooling around the clock. Any drastic change in temperature can result in damage to the equipment and downtime for services. 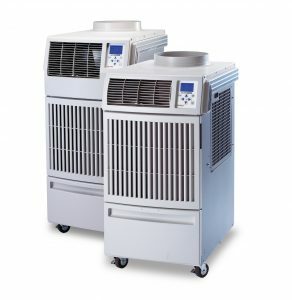 A portable air conditioner is ideal for data center environments for affordable spot cooling. Cool your entire RV with your portable air conditioner. As soon as you roll into an RV park and have access to shore power, you have access to air conditioning. Any recent additions to the house, like a room extension or split, can result in uneven distribution of air conditioning. There are even times where it is not possible to extend ducting for the central air conditioner. Vacation homes and cabins usually do not merit any built-in air conditioning as there will not be any full-time maintenance available. A portable air conditioner is a great option for cooling in such situations. Written by MovinCool.com. Their portable air conditioners are entirely self-contained, enabling quick and easy set-up, installation and breakdown at all events.